OAKLEIGH Chargers’ AFL Academy member and potential number one pick, Noah Anderson has opened the NAB League Boys season with a bang, picking up Draft Central’s Player of the Week for Round 1. Anderson won the Facebook poll against Greater Western Victoria (GWV) Rebels’ Cooper Craig-Peters in a relatively close match, 59 to 41 per cent. 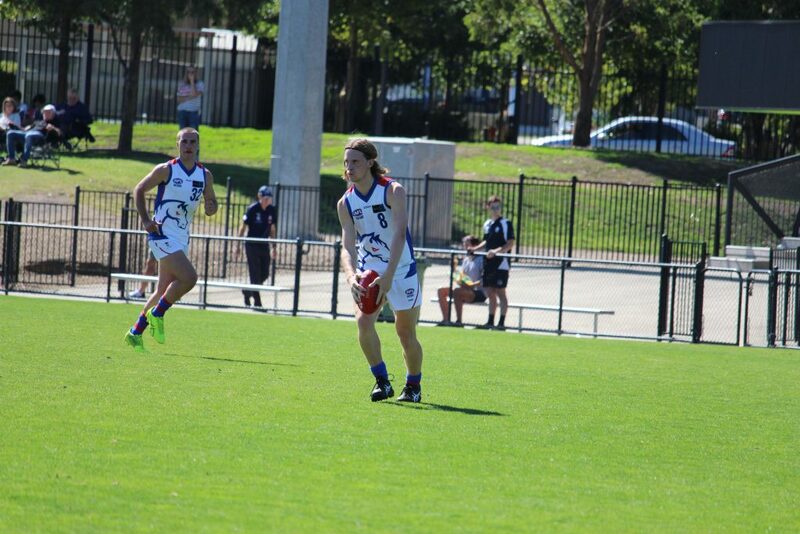 In Oakleigh’s victory over Eastern Ranges, Anderson picked up 26 disposals (at 81 per cent efficiency), five marks, five clearances, six inside 50s, one rebound, four goals and two behinds playing between midfield and forward. His firat goal was a Goal of the Year contender with a couple of efforts from half-forward and kicking a terrific goal on the run. Anderson becomes the first Player of the Week for 2019, and is predicted to have a big season as he strives towards being drafted at the end of the 2019 season. Noah Anderson was a force through the midfield in the first quarter and he kicked one of the better goals you will see at under 18s level where he won a great clearance on the forward flank and would then follow up and win the ball on the opposite flank before taking a run, taking on a player and kicking a freakish running goal. He would later rest forward and kick a goal over the back in the second quarter. Anderson spent more time forward in the second half adding another two goals, one as a nice dribble goal and the other a long goal off one step, his midfield work would continue to be all class with his positioning, talk and creative kicking really standing out. He finished the game with an impressive 26 disposals, six inside 50s and four goals.